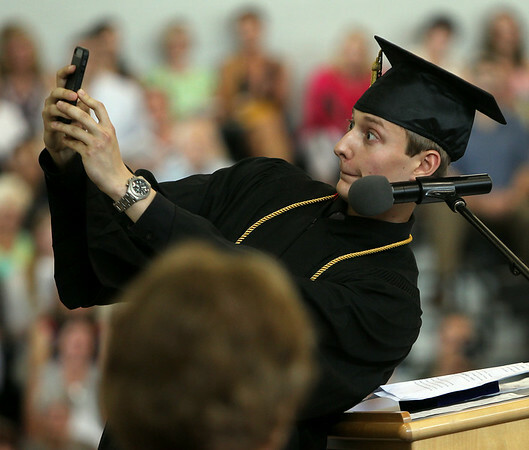 Marblehead High School Salutatorian Jacob Beck makes a funny face while taking a selfie with the Class of 2014 in the background during this Salutatory Address on Sunday afternoon. DAVID LE/Staff photo. 6/8/14.